Online is secure, fast, easy and convenient! WELCOME! Located on the beautiful Saanich Peninsula, Panorama Recreation offers innovative facilities and quality programs and services. From an updated aquatic complex, which boasts the tallest and longest indoor waterslide on southern Vancouver Island, to an award-winning racquet sports centre, a fully equipped weight room and two skating arenas, there is something for everyone. Off-site facilities provide a variety of programs to accommodate the growing community. Have you heard about the LIFE Program? It provides no- and low-cost recreation opportunities for individuals and families living on limited incomes. See pg 9 for more details. Attempt to rectify any concerns you may have. Transfer your registration to another program or session. If the above steps do not meet your satisfaction, we will review the circumstances and consider issuing a partial/full refund subject to our administrative fee. For more information, see pg 81. INCLUSION We believe that everyone should have an opportunity to participate in recreation activities, and are committed to providing supports and services for our community members that work to minimize barriers and encourage participation. Flip to pg 9 for more information about inclusion in our programs and facilities, along with some community resources! VOLUNTEER OR WORK WITH US We have new opportunities available seasonally which can be viewed on our website. See pg 56 for more details. Play in the Park, Family Movie Night, Community Water Battle, Yoga in the Park and more!! Swimming, Skating, Pottery Painting, Kindergym, Inflatable Obstacle Course, and more! Skate Sharpening All rates include GST. dependant) aged 18 years or younger living at the same address. Bring the whole family to enjoy our many drop-in activities at our various locations. OR Purchase the youth pass for $69 without an adult pass purchase. Enjoy all the extra benefits with your Deluxe Annual Active (19 years+) Pass Purchase including unlimited access to all drop-in programs, up to 20% discount on most registered programs and more. * See p. 39 for details. Over $250 value in added benefits!! * Some restrictions apply. Active Pass must be valid on course start date. **Enjoy all drop-in activities at any of the 13 regional recreation centres. $25 administration fee is charged at the time of registration for monthly scheduled payments. $15 finance fee applies to each returned/declined monthly payment. Active passes & benefits are non-transferable. Some restrictions apply. Passes must be presented at each visit for every pass holder entering the facility. Failure to produce a valid pass may result in a general admission charge. Pass refunds are available only for medical or relocation reasons and documentation must be presented for a refund to be considered. The refund amount, if applicable, is calculated by determining the equivalent 1, 3 and 6 month pass rate or combination of passes for usage. Any refund is subject to a $10 administration fee. Not valid for drop-in pottery. Please purchase a pottery pass for access to Pottery Studio. 20% OFF! Did you know that Annual Deluxe and 3 & 6 Month pass holders receive up to 20% discount on almost all registered programs? Squash Active Pass - $215 22 sessions @ $9.77/session For Prime & Non-Prime bookings. No additional fees. Court bookings not available online. *Equipment Rentals Racquets, goggles & wallyball equipment are available at reception. There is a $2.00 rental fee per racquet. Goggles are strongly recommended for adults and mandatory for juniors. Car keys or ID are required as a deposit when renting equipment. Courts may be booked up to 1 week in advance via the methods below. Tennis and Pickleball courts may be booked for 1, 1.5 or 2 hours at a time. Squash/Racquetball/Wallyball courts may be booked for 45 minutes or 1.5 hours. Over the Phone - After 6am at 250.656.7271 ext. 0 In Person - After 9am at Panorama or Greenglade Online - Book anytime! 1. Go to www.panoramarecreation.ca 2. Click Book a Court. 3. Select desired type of court then, of that type, search by overall court availability or by specific court. 4. Indicate the length of time desired and number of players attending. 5. Choose desired day and time from availability shown then, click RESERVE. 6. Enter login details and password, and complete reservation payment through secure online checkout. Block bookings will run May 1. Only 1 court will be available per block booking. •	Start times are available between 9-11:30am and 6-9pm •	Please email Eric Knoester, Racquet Sports Coordinator at eknoester@panoramarec.bc.ca with preferred times by May 1. Late requests will be accommodated at the discretion of the coordinator. •	Spots will be determined by a lottery. Notification will be sent the week of May 1. For more information, contact Eric Knoester, Racquet Sports Coordinator at 250.655.2177 or via the email address above. GENERAL INFORMATION All court fees must be paid at time of booking. Prepayment on account is an option for patrons choosing to have a prepaid credit available for booking purposes. 100% refund if cancelled at least 24 hours in advance of booking start. No refund for cancellations made within 24 hours. 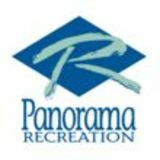 Panorama Recreation believes that everyone should have an opportunity to participate in recreation activities. We are committed to providing supports and services for our community members that work to minimize barriers and encourage participation. If you would like more information about accessibility and inclusion at the centre or of a specific program, please contact our Adult Community Recreation Coordinator at 250.655.2178. FINANCIAL ASSISTANCE LIFE PROGRAM - Leisure Involvement for Everyone Supported by the Greater Victoria Active Communities, this regional initiative provides no- and low-cost recreation opportunities for individuals and families living on limited incomes. Residents of the Saanich Peninsula whose combined gross household income falls at or below the low income thresholds determined annually may apply. Thresholds are relative to household size and based on Statistics Canada’s Low Income thresholds, with an additional percent added to account for regional cost of living. Apply by submitting a completed application form, proof of current residence and copy of your 2018 Notice of Assessment showing combined gross household income. Approved applicants will have the choice of free visits and discounted program registrations, or discounted pass purchase rates. JUMPSTART - Dedicated to removing financial barriers holding kids back from involvement in organized active programs, Canadian Tire Jumpstart provides funding to families who need it. For further details and application forms for either the LIFE Program or Jumpstart funding, visit our website. IN TH E UNPLUG, UNWIND & COME PLAY! Tuesdays, 6-7pm July 9 - August 27 Pioneer Park Children under 12 years require parent supervision. PLAY IN THE PARK LAUNCH PARTY! Join us Thursday, July 4th at Centennial Park from 5:30-8:30pm as we kick off the Play in the Park program for this summer! Have dinner at the park. Kiwanis Club of Sidney and Saanich Peninsula are providing a BBQ by donation. Come on down and wave to Slider in the Canada Day Parade at 11:30am in downtown Sidney! Afterwards, join us to continue the Canada Day celebrations at Iroquois Park with some face painting and inflatable fun! Join us at Centennial Park from 5:30-8:30pm as we kick off the Play in the Park program for this summer! Have dinner at the park! Sidney and Peninsula Kiwanis club are providing a BBQ by donation. our giant screen! We will transform our (dry) arena into the perfect place to kick back, munch some popcorn, and enjoy a great film together! Feel free to come in your PJ’s! Variety of refreshments available. Sponsored by Seaside Magazine. Come and participate in a FREE outdoor yoga session while enjoying the fresh air of the summer evening. Combine flowing movements with static yoga postures to release, restore and lengthen the body. Being offered in collaboration with Play in the Park, all levels are welcome. Please bring a mat. Weather dependent. Children under 12 years require parent supervision. SPECIAL EVENTS AUGUST Come and participate in a FREE outdoor yoga session while enjoying the fresh air of the summer evening. an afternoon of water fights and games for all ages! Plunge in our dunk tank, take a turn on our slip and slide, and cool down with some cold treats. Bring your buckets, water guns, neighbours and friends! IT’S A PARTY! Let us take care of the fun for you! We have a variety of options available for every age group! Children under 7 must be within arm’s reach of an adult in the water. 1:3 adult to child ratio. Minimum 42” to use the waterslide. NOTES: *Our giant inflatable obstacle course has a minimum 36” height restriction. A preschool bouncy castle is available upon request for those under 36”. All Gym Parties include use of sports equipment, tumbling mats, kindergym toys & a mini bouncy castle, along with a party host to assist with inflatable supervision & party setup/clean-up. Access to fridge & freezer available. Easily view available dates and complete your entire party booking online! We will call to confirm details once booked. In Person Stop by Panorama Recreation or Greenglade Community Centres and complete a party request form. You will be contacted within 24 hours to complete your booking. Interested in ordering Panago pizza or some Thrifty Foods Party Platters for your big bash? Order pizza in-store or over the phone with Panago Sidney at 250.655.6811 and receive 10% off entire order with proof of party booking! Receive 10% off party platter orders at Thrifty Foods Sidney with proof of party booking (hard-copy booking receipt required). Available platter options can be previewed on the Thrifty Foods website! Parties canceled with more than 14 days notice will receive a 100% refund. Parties canceled with less than 14 days and more than 7 days notice will receive a 50% refund. Parties canceled with less than 7 days notice will receive no refund. Facility Rentals Are you looking for a room to rent for birthday parties, meetings or other get-togethers? Ice & dry floor rentals, pool rentals, room rentals, field rentals and more! Facility availability and rates for the arena and many of our rooms are viewable online. Rentals available at Panorama Recreation Centre, Greenglade Community Centre, Central Saanich Cultural Centre and the Neighbourhood of Learning at North Saanich Middle School. LESSONS SWIM SWIM LESSONS REGISTERED BLOCK PRIVATE LESSONS Set dates and times, no refund or re-scheduling of missed lessons. Instructor requests are not guaranteed. Book online or contact reception. Lessons are a flat rate and up to 3 children may participate. LEVEL ASSESSMENTS Unsure what level to register for? Please contact our Assistant Aquatic Coordinator, mhenderson@panoramarec.bc.ca, and set up a free assessment! Low instructor/child ratio lessons provide more one-on-one opportunity to further your childâ&#x20AC;&#x2122;s swim abilities. Max 3 children. Supports and hold techniques for the caregiver, front float position (assisted), back float position (assisted), move forward and backward (assisted), choking prevention and choking response. Parent participation required. Rhythmic breathing 5 times, front and back float and recovery 3 sec, front and back glide 5 sec, front and back glide with kick 5m, roll-over glides 5 sec, front swim 5m and distance swim 5m. Rhythmic breathing 10 times (2 ways), front and back glide with flutter kick 10m, side glide with flutter kick 5m (assisted), roll-over glide with flutter kick 5m, front swim 5m and distance swim 10m. Introduction to rhythmic breathing, breath control, buoyancy and movement (assisted), move forward and backward (assisted), front float and back float and recovery (assisted). Transition level, parent participation is encouraged but not required. Previous lessons not necessary. Submersion 3 sec, introduction to rhythmic breathing, breath control, front float and back float and recovery 3 sec (assisted), front and back glide and recovery (assisted), basic kick on front (assisted) and front swim (assisted). Open eyes underwater (attempted), rhythmic breathing 3 times, front float and back float and recovery 3 sec, front and back glide 3 sec, front swim 1m (assisted). Open eyes underwater, rhythmic breathing 5 times, front float and back float and recovery, front and back glide with kick 2m, roll-over glide front to back 2m, roll-over glide back to front 2m, front swim 2m. Rhythmic breathing 5 times (2 ways), front and back glide with kick 5m, roll-over glide with kick 5m, side glide with kick 2m (assisted), front swim 5m. Rhythmic breathing 10 times (2 ways), front and back glide with kick 7m, side glide with kick 5m, front and back swim 5m. Rhythmic breathing, front to side glide 10 times, front, back and side glide with kick 10m, front and back swim 10m. Once your child is over 5 years old and has completed Whale, you can register them in Swim Kids 3. Rhythmic breathing 15 times, front and back glide with flutter kick 15m, side glide with flutter kick 10m, front glide/side glide combo 10m (assisted), front swim 10m and distance swim 15m. Rhythmic breathing 15 times (front crawl specific), front and back glide with flutter kick 15m, side glide with flutter kick 15m, back swim with shoulder roll 15m, front crawl 10m and distance swim 25m. Rhythmic breathing 20 times, front and back crawl 15m, whip kick on back 10m and distance swim 50m. Front and back crawl 50m, elementary back stroke 25m, front scull 15m, whip kick on front 15m and distance swim 150m. Front and back crawl 75m, elementary back stroke 25m, breast stroke 15m and distance swim 300m. Front and back crawl 100m, elementary back stroke 50m, breast stroke 25m, sidestroke kick 15m and distance swim 400m. CONNECT WITH YOUR TEAM LEADER! Have any questions or concerns about your child’s level or the Red Cross Swim program? Connect with the Team Leader (wearing a black “TEAM LEADER” shirt) on deck. They are there to assist you and your child as well as provide support throughout the lesson set. If your child is under 7 years of age, please take them to the pool deck and pick them up after lessons. Thank you. LESSONS SWIM SWIM KIDS SWIM LESSONS Welcome to Red Cross Swim Kids. Our fun, learn-to-swim program for children ages six and older. This 10-level program helps swimmers develop the five main swimming strokes—front crawl, back crawl, elementary back stroke, breast stroke, and sidestroke—which supports learning how to be safe in, on, and around the water. The program also increases fitness and endurance through enjoyable activities. LESSONS SWIM REGISTERED BLOCK PRIVATE SWIM LESSONS Set dates and times, no refund or re-scheduling of missed lessons. Choose between any time given for each day. Instructor requests are not guaranteed. Please book online. Registered block private lessons are a flat rate and up to 3 children may participate. Want to set up your own set of lessons, tailored to all of your needs? Custom lessons are designed to fit your lifestyle: •	You can pick the time and date you would like! •	Decide how many lessons you would like! •	Sign up with a friend and split the cost: up to 3 people per class! •	Choose your favourite instructor! Best of all, custom lessons have the flexibility to reschedule or cancel (24hrs notice is required) and they’re great for ALL AGES! Please email Martin at mhenderson@panoramarec.bc.ca to book your custom lesson set today! Preview our detailed camp activity schedules online June 15. THANK YOU 2019 SUMMER CAMP SPONSORS! Does your child receive educational assistance at school? Would they benefit from one-on-one support within our programs? To ensure your child has the best possible experience and receives the support they need within camps, families are encouraged to arrange additional support prior to program participation. The Supported Child Development Program through VIHA works with families through offering observations, resources, ongoing support and training. We recommend contacting them early as demand is high. In the summer, children are meant to be outside connecting with nature, making new friends, and creating memories. Panorama’s Forest Explorers will experience and engage the living world around them through art, music, literature, physical education and dramatic play. It’s a great big world and we’re going to explore it all! Unleash your culinary creativity & join us for Kids in the Kitchen Camp! Each day campers will create a couple of exciting dishes that can be easily recreated at home; learning the basics of food preparation, kitchen skills, healthy eating, and the fun of creating & enjoying their own cuisine. As long as your child comes to camp prepared with a snack, water bottle & breakfast in their belly, we will tackle the creation of our lunches, hands-on! Please note any food allergies on camp medical form when registering. Children love to dance and dream. In an atmosphere of encouragement and imagination, your little dancer will have fun learning rhythms, dancing and singing along to songs. We will also introduce some very basic movements of ballet. Come twirl with us! Come and have some muddy fun by creating projects from your imagination! Learn to throw on the potters wheel, as well as create hand-built pieces. On the final day, we will decorate and glaze our projects! Final pieces will be ready for pick up 2 weeks post course. No session Thursday while pieces are in the kiln. Wear clothes you can get muddy and bring a nut-free snack each day. This camp is designed to give a taste of many different dance styles in a fun and encouraging atmosphere! We will also do some crafts, play games and go for a swim each afternoon! Great for beginners who want to try out some dance classes, as well as dancers with some experience who are just looking for some fun. Learn to ride on safe, experienced schooled horses. This camp will cover basic riding skills, horse care and safety. Suitable for the beginner or novice rider. Join us for a great week! For on the go kids who want nothing more than to spend time outside on their bikes. Your week is all about learning the fundamentals of flow mountain biking from our professional coaches. Combine a park specifically designed to progress bike skills, with fun and experienced coaches and what do you get? Major improvements to your bike skills and coordination, and a thoroughly fun and inclusive week long bike adventure--best summer ever! Eli Pasquale has been bringing basketball to our community since 1984. In our classic co-ed half day and full day camps, players will learn Eli’s Guard Series and Miracle Circuit. Improve on 1-on-1 skills and develop offensive and defensive skills for 2-on-2, 3-on-3 and 5-on-5 team play. Full day camps swim at the end of each day. Instructor: Eli Pasquale Group Inc.
Players will learn the various badminton racquet skills for forehands, backhands, smashes and serves via the skills, drills and games organized by the instructor working towards game play singles and doubles. Five days of tennis skills and drills including the fundamentals of forehand, backhand, serving and tournament play. The week will wrap up with an Olympic day on Friday. Each afternoon participants will have the option to swim or continue working on their games skills. CENTENNIAL PARK TENNIS CAMP 7 - 13 yrs Juniors will learn the fundamentals of tennis via skill games and progressions which will teach the techniques and rules of tennis! Inclusion & Financial Assistance Many of our programs can be adapted to meet your needs. Please see p. 9 for our inclusion and financial assistance information or contact our Adult Community Recreation Coordinator at 250.655.2178. From passionate trained coaches to strong skills development, this camp delivers a quality and fun experience. This program runs for 5 consecutive days, with each days session being 3 hours long. During each session there are themed skills that the coaches target for development. All Soccertron coaches are eager to help each young player improve while having fun at the same time! If you have ever thought about archery, this program is for you! Come learn the fundamentals that have propelled archery to one of the fastest growing sports/lifestyle activities in the world. Pacific Archery Academy provides a safe and friendly environment where you can learn innovative techniques and shooting skills. These week long camps welcome all levels and equipment is provided! PLAY Group Victoria brings partners together to advance physical literacy in Greater Victoria. is the development of fundamental movement skills (e.g. run, wheel, jump, throw) in different environments (land, water, air, ice/snow). Motivation is developed in program environments that are fun and exciting, have a purpose to develop skills, and facilitate knowledge about activities to value the importance of being active. Join us for a week at Island View Park! We will be exploring the tide pools, playing beach games and creating sand castles. Have a blast with us running on the beach, skipping through the trails and splashing in the ocean. Dress for rain or shine! Daily registration available for $15/day! TO REGISTER FOR RUN, SKIP & SPLASH, PLEASE COMPLETE THE CAMP REGISTRATION FORM ON OUR WEBSITE UNDER THE CAMP SECTION. This full-day camp is packed with aquatic adventures. Games outside, Red Cross swim lesson, field trips, and supervised play during our Everyone Welcome swim! We will do aquatic sports like diving, snorkeling, underwater hockey, and much more! Action packed with fun, the Junior Lifeguard Camp is an introduction to lifeguarding. A great alternative for those looking for aquatic fun outside of lessons, or those wanting to become a lifeguard. Each day includes first aid training, games outside, lifeguarding training and even some shadow guarding. Those who meet Rookie, Ranger or Bronze Star requirements will receive a certification of completion. Shadow guard shirt will be included. Do you have what it takes to defend your castle and maintain your family’s honour? In this camp, campers will build their very own castle and then work to defend it by engineering canons and catapults. Become a knight and join us on the quest for glory and justice while exploring civil, mechanical, and marine engineering. Full Day with Robotics, Art, and Lego, Oh MY! 3D PRINTING: SUPERHEROES EDITION 8 - 13 yrs Superheroes unite for a fun exploration into the world of 3D design and printing! Learn how to design and create superhero masks, power wrist cuffs and more with 3Doodler pens and computer-aided design (CAD) software. We’ll spend part of the week experimenting with the makey makey invention kit, a fun and simple circuitry tool that will have you making superhero sound effects.... with bananas? Join us for a week of fun, creativity, and of course -engineering! Each day, we’ll explore modern inventions like robots, toys and musical instruments, and use these as inspiration when we design and create our own amazing inventions. MAD SCIENCE - 3,2,1, BLAST OFF! We are Rocket Scientists and you can be one too! The week will fly by as we travel through time looking at the earliest flying machines right up to modern day rocket launches. Zip up your space suit for a planetary tour while we investigate the wonders of our very own Milky Way. Join your fellow astronauts as we send an awesome Mad Science rocket to the moon…well at least into the sky! Dreaming of a career with PIXAR? Ever wonder how those awesome 3D animated movies like Shrek, Toy Story and Frozen are made? Spend the week learning how by modeling, animating and telling your own stories in 3D. You’ll use Blender, a wonderful (& free!) 3D software, to design characters that jump off the screen and then make them come alive by adding voices, soundtracks and completing your own animated short film. Final projects are usually group projects with each student contributing a character and a scene. A great introduction to day-camp for your youngster. Each week will include themed activities, imagination stations, crafts, interactive songs & stories, outings and more! Parent & baby hiking is a fun way for new parents to connect with other families and get active. Hikes are a moderate difficulty and parents need to be able to carry their baby for at least 90 minutes over uneven terrain. Rain or shine families will explore a local trail and enjoy the outdoors. Please bring your own carrier as hikes are not suitable for strollers. Soccertron’s enthusiastic coaches focus on motivating young players by creatively introducing soccer skill development. Each session is packed full of safe, nurturing and enjoyable soccer skill explorations. As always, Soccertron staff believe that fun is the most important part of FUNdamentals! Drop off your child for a day of fun and games. Children will enjoy a morning of games outside and crafts. Then we will head to the water for a Red Cross swim lesson. Please dress for rain or shine for outside play. Let us know your child’s swim level at the time of registration and pick up your report card and badge/sticker on the last day. TO REGISTER FOR CREATIVE CRAFT & SPLASH, PLEASE COMPLETE THE CAMP REGISTRATION FORM ON OUR WEBSITE UNDER THE CAMP SECTION. Come try the potters wheel in this introductory workshop! The one day trial will provide a small taste of what it is like to work with spinning clay. Wear clothes you are comfortable getting messy or bring an apron. All materials provided. Join us on the farm for a fun and engaging adventure into the world of plants. Connect with our magical, healing friends to learn who they are and where we can find them! Instructor: Harmony Pillon - Flip to p. 59 to meet Harmony! PANORAMA RECREATION OUT OF SCHOOL CARE (Kindergarten - Grade 5) Join us for Out of School Care this school year! Operating M-F from 3-5:30pm, our program includes an engaging lineup of new activities & local outings each month, along with daily healthy snacks! KELSET, Sidney and Deep Cove students will be based out of Greenglade Community Centre. Brentwood and Keating Elementary students will be based out of Central Saanich Cultural Centre. Now offering Out of School Care for Brentwood Elementary! New schedule of active games & crafts each month. Daily healthy snacks & weekly local field trips! In person registration for the 2019/2020 school year, Wed, Apr 10th, 4pm @ Greenglade Community Centre. Please complete all necessary forms prior to submitting your application. Forms can be found at www.crd.bc.ca/panorama/programs/school-age/out-of-school-care Please note: Priority will be given to families currently registered in Out of School Care program and to full time registrations. (Main Pool) A high-intensity intervals aquafit class designed to get your heart pumping. Includes warm-up, 30-35 minutes of cardio and stretching at the end. (Main Pool) Taught on our Hydrorider bikes causing less impact on your back and joints. Bike classes are limited to 13 participants on a first-come, first-served basis. (Main Pool) All classes will provide you with a challenging workout with little to no impact on your joints! Start each class with 5-10 minutes of warm-up, 30-35 minutes of cardio and 10-15 minutes of strength and stretching. (Main & Leisure Pool) A light version of Shallow Aquafit designed for people who have recovered from an injury and/or surgery, live with arthritis or are currently sedentary. Did you know our pool has accessible amenities including Wispa lifts in the change-rooms & on the pool deck, a ramp into our leisure pool, and a fully accessible waterslide? Pool Swim Drop-in Schedule Effective Jun 28 - August 18, 2019 Holiday schedule: Jul 1 & Aug 5. Annual Maintenance (pool closed) Aug 19 - Sep 2. Please enjoy the swirl pool, sauna, steam room and lazy river any time or day of the week! Aquafit p. 40.
LEISURE SWIM Enjoy the leisure pool and lazy river anytime! Spray toys are available in the leisure pool except during lessons and aquafit times. Please note, swim lessons have priority and tot area may not be open to the public. See p. 15-19 for swim lesson times. Designated public areas will be clearly identified. *Swim club will be in the water 6-8am. **Only 1 lane available in the main pool. 7–9pm *This time is for all ages but caters to youth 11-16yrs. An extended cardio session with hi/lo impact moves followed by floor work. A variety of small equipment may also be used during the class. All levels welcome. Tighten & tone with Fitness Yoga, an invigorating combination of traditional fitness training and yoga poses. *$12 drop-in or swipe of active pass. Embrace the light of the morning and set your energy for the day! Move through a flow of warming poses embracing body, mind and spirit. *$12 drop-in or swipe of an active pass. Rev up your metabolism in this High Intensity Interval Training class. Shown to improve endurance, strength and power while burning fat, this workout will feature a selection of training accessories such as the TRX Rip Trainer, ViPR Trainers, TRXs and more! Previous experience recommended. The unique design of the Kettlebell will challenge your core to the max! Not only does Kettlebell training improve strength, balance and core conditioning, it also challenges your cardiovascular fitness. Your heart will be pumping! Self-paced, mild to moderate, low impact aerobic workout, followed by a strengthening session. Coffee time follows. The ultimate 45 minute indoor cycling workout combing aerobic and anaerobic exercise through drills and speed work. Build endurance, cardio and flexibility in this fun class while working at your own intensity level. Please bring a water bottle & towel. Reserve a spin bike (see below). Spin Glow - Turn off the lights and enhance your spin experience with this class in the dark! Spin 60 - Enjoy an extended ride with this 60 minute class to build endurance, increase your cardio output and build stamina through speed drills and intervals. Combine the power of Spin and Strength training in this high powered class. Start with 20 minutes of indoor cycling drills, followed by a 20 minute strength training circuit. Push yourself with this cardio/strength combo class! Start with 30min of intensive spin, followed by a TRX strength and core workout and end with stretching it all out. Put the power into your step with this high energy workout combining cardio on the step and strength conditioning. This class will blend step choreography with all the moves followed by strength training using weights, body bars, bands and balls to tone your mind and body. All levels welcome! Work your entire body using weights, body bars, resistance tubing, stability balls, gliders and the BOSU. No class is the same! If you like variety and strength training, this is the class for you! An interval based class with 3 stations combining cardio, strength and core. Work your way through stations of Spin, strength training using bodyweight and equipment and concentrated core work for a perfectly balanced workout. Focus on three training components in this functional class: Cardio, Strength & Core (20/20/20). 20 mins of cardio work to warm the body and increase the heart rate. 20 mins of total body strength and muscle activation. Then finish with concentrated core work to build stability and strength. This intense workout will use your own body weight and gravity to build long lean muscle, balance, stability and flexibility in one efficient class. You control how easy or hard you want to work. Whether you are an athlete or just want to get back into shape, the TRX is an excellent cross training tool to reach your fitness goals! A slower yoga practice to open the body and receive the breath. Yoga Stretch combines flowing movement with poses held in stillness to provide release and relaxation. A perfect way to de-stress for a good weekend ahead. *$12 drop-in or swipe of active pass. Blending dance with Pilates, yoga, kickboxing and strength training, one 55-minute session can burn up to 800 calories. The results? Long, lean muscles and an undeniable mood boost. **Regular drop-in rates do not apply. See p. 67 for more details and rate information. 12 yrs+. For fitness class descriptions, see p. 42. Classes subject to cancellation due to low attendance. A qualified weight room attendant will be available to assist you with your weight training program. If you are not familiar with the equipment or have questions regarding exercise technique, the attendant will be available for advice during these drop-in times. Our weight room features: •	An extensive selection of strength training equipment, dumbbells & barbells •	Cardiovascular equipment including treadmills, elliptical trainers, AMT (adaptive motion trainers), upright and recumbent bikes that feature interactive displays with iPod/iPhone chargers, cable TV, internet and a personal account tracker •	Concept II Rowers, Keiser spin bikes, Stairclimbers, NUSTEPs & Interactive Expresso gaming bikes •	A variety of stability balls, BOSUs, medicine balls, balance boards, tubing & TRXs Restricted to age 15 and older. 13 years+ who have taken Weight Training for Teens (p. 49) may attend during supervised hours or with a parent/guardian. Did you know the Panorama & Greenglade Weight Rooms have a variety of fully accessible equipment including NuSteps, Functional Cable Machines, Freemotion cables and closed captioning on some cardio equipment? Closed Jul 1, Aug 5 & Sep 2 Featuring treadmills, bikes, elliptical trainers, AMT, rowing machine, a small selection of weight machines, dumbbells, tubing, medicine balls, BOSUs and more. Just like big hair and high tops, that old workout program is so 80’s! Get your updated Personal Training program designed with your body in mind. See p. 64. Bring your family and friends for skating fun, music and games. For children up to 12 years with an adult. An opportunity for you and your young player to bring your sticks and soft pucks to shoot around. Helmets mandatory for all, full face masks are mandatory for children. 10 - 16yrs. For those who want to brush up on their hockey skills. Helmet with face mask and hockey gloves required. Goalies, games & scrimmages of any kind are not permitted. 12 yrs+. Recreational-level. See p. 75 for details. July only. **No sessions August or stat holidays. 16 yrs+. Recreational-level. See p. 75 for more information. *Reserve your spot online! See p. 75 and website for more details. No sessions stat holidays. Drop-ins welcome space permitting. Looking for a great indoor team sport for your kids? Night league basketball is a slam dunk! The Saanich Peninsula Amateur Basketball League enters boys and girls teams into the Victoria and District Amateur Basketball Association (www.vicbball.com). Practices, one evening per week on the Peninsula, start in late September. Games, one evening per week in Victoria, start in mid October. Playoffs wrap up by spring break. This is a developmental league, and we encourage effort, teamwork and fun! Parent/ guardian volunteering is important. For more information, check out saanichpeninsulabasketball.com. Practice times and locations may vary slightly depending on the number of teams registered and gym availability. 4½ - 6 yrs This high-energy soccer program introduces you and your child to the fundamental soccer skills such as dribbling, shooting, passing and more. NCCP certified instructors will use positive reinforcement to ensure your child experience with this great life long sport is fun and memorable. Take your game to the next level with one-on-one private power skating lessons with Dennise Bowles of Power Unlimited. For availability, pricing and to book a lesson, please call 250-655-2181. PLEASE SEE OUR ADULT FITNESS AND MIND & BODY SECTIONS STARTING ON PAGE 65 FOR MORE PROGRAMS. Get in shape for your favourite sport or work on muscle development and definition! You will learn how to use the equipment in the weight room and receive a strength program designed specifically for you! Upon successful completion of this course, participants under 15 may visit the weight room at Panorama during supervised times or with a parent/guardian. Come out and take your game to the next level. Balance, Acceleration, Agility, Speed, Explosive Starts, Edge Control and Game Stride are all part of this challenging and rewarding program. Power Unlimited offers high quality instruction with a dedication to the improvement of each student. Full hockey gear is required. Did you know? Did you know our Drop-in Fitness Classes are open to ages 12 years and up? Come and try a variety of classes including Sport Step, Total Body Conditioning, Spin, HIIT, TRX and Yoga. See page 43 for full drop-in schedule. Supporting youth-led projects & Innovative ideas that address youth issues and promote positive youth leadership within our community. Do you have an initiative or project you & your friends are passionate about? Learn how to assess and treat airway, breathing and circulatory emergencies. Management of medical, musculoskeletal and environmental emergencies will also be covered. Certification includes CPR-C/AED. Prerequisites: CPR-C certification. This clinic is for individuals needing to recertify or update their existing CPR-C/AED certification as CPR is valid for three years from the date of certification. Prerequisites: Standard First Aid certification. This clinic is for individuals needing to recertify or update their existing Standard First Aid (SFA) certification. SFA is valid for three years from the date of certification. Prerequisites: Bronze Star or 13 years old. The Lifesaving Society Bronze Medallion program is a ‘building block’ toward further lifesaving and lifeguard training. Candidates learn lifesaving techniques for challenging open-water rescues in addition to developing stroke efficiency and endurance (500 metre timed swim). Certification includes CPR-A/AED. Prerequisites: Bronze Medallion. Candidates learn advanced lifesaving training to include management of aquatic spinal injuries and preventing loss of life in a variety of aquatic emergencies. Lifesaving Society Bronze Cross is a prerequisite for National Lifeguard (NL) and is worth two Grade 11 High School credits. Certification includes CPR-C/AED. Prerequisites: Bronze Cross, Standard First Aid, 16 years old. The Lifesaving Societyâ&#x20AC;&#x2122;s NL award is recognized as the standard measure of lifeguard performance in Canada. NL training prepares lifeguards to prevent incidents and in the effective resolution of emergencies. NL is worth two Grade 12 High School credits. Module 1 & Module 2 Prerequisite: Bronze Cross and Stroke Assessment recommended prior to taking module 1. ADVANCED AQUATIC SCHOLARSHIP PROGRAM Funding opportunities available for Lifeguard and Swim Instructor Training. Support rehabilitation programs, youth cooking & baking classes, special events and more! New opportunities seasonally! Learn techniques for working with wet clay (slip) to decorate pots, and how to create your own engobe. Engobe is a white or coloured slip that can be applied to pieces for decorating. We will be slip trailing, brushing, marbling, scratching and chattering! For participants with some clay experience, please bring your own leather hard pots to decorate in class. The Pottery Studio at Greenglade Community Centre is a fully-functioning studio that includes everything needed to see projects from start to finish - including wheels, work tables, a slab roller, hand building tools, glazes and a kiln! Services include clay purchase, project and supply storage, glazing, firing, classes, workshops, and daily supervised or un-supervised drop-in. Studio orientations are designed for those with more than 16 hours of pottery experience who are interested in dropping into the studio but, who are new to the space. Registered pottery classes offered through Panorama include an orientation. Potters with less than 16 hours of experience should take a course. Contact info@panoramarec.bc.ca to book your orientation. Scheduling dependent on instructor availability. Learn to weave a beautiful dreamcatcher. Your own oneof-a-kind work of art and sacred object, which incorporates wildcrafted, found, repurposed and collected materials! All materials provided. Learn to play ukulele as an accompaniment when singing popular songs in group settings! Learn several chords and a variety of accompaniment techniques. The focus will be on learning songs, with an introduction to music fundamentals. Ukuleles available for rent or purchase at Peninsula Academy of Music Arts. At Fireweed Farm & School, Harmony brings her highly creative, passionate and sparkly spirit to help in all aspects of the creation of a thriving farm and school. You will find her getting her hands dirty in the herb garden, helping prepare herbal products, representing the farm at farmer’s markets, and at the school teaching workshops. She grew up forest exploring, practicing primitive skills and making art. Such foundations of connection and creativity provided the tangible root system for her path into farming and herbalism; naturally blossoming out of a passion for a balanced lifestyle. Harmony has background in fine arts, education and environmental studies. She currently maintains a small art practice, drawing botanical studies and making dreamcatchers. She shares the knowledge of weaving dreamcatchers to honour the teachings gifted by her Nookomis & Anishinaabe ancestors. With deep reverence for the traditional techniques, this craft is inspired by the plants and materials native to these coastal lands. Join Harmony for either her Dreamcatcher or Children’s Herbal Workshops (p. 38) this season! Learn to play one of the most interesting and exciting games of chance and skill - Mahjong! Mahjong is played with tiles, intricately engraved with Chinese characters and symbols. Similar to the card game Gin Rummy, Mahjong involves mental skill, strategy and calculation, with a degree of chance. A good game should bring thrill and excitement. Several winning combinations you will be taught could bring about a win! Keep your brain alert and thinking, while socializing with others. The traditional, Hong Kong-style will be taught. MAKING YOUR OWN SKINCARE PRODUCTS WORKSHOP 16 yrs+ Tired of wondering what is in your skincare products and struggling to find the perfect one for your skin? Look no further! Learn the ins and outs of crafting your own uniquely formulated skincare, from basic household ingredients! 16 yrs+ Prerequisites: Bronze Cross, Standard First Aid, 16 years old. The Lifesaving Societyâ&#x20AC;&#x2122;s NL award is recognized as the standard measure of lifeguard performance in Canada. NL training prepares lifeguards to prevent incidents and in the effective resolution of emergencies if needed. NL is worth two Grade 12 High School credits. WATER SAFETY INSTRUCTOR 15 yrs+ The Water Safety Program prepares you to instruct Red Cross swim lessons. The full course will evaluate strokes and skills equivalent to Red Cross Swim Kids 10 and guides participants through the online portion of the course. Included is the 10 hours teaching experience and in-class sessions. The participant will develop the skills and gain the teaching tools to become a swim instructor. ADULT Summer Special Summer is a great time to create a personalized exercise program or revamp your existing program with a personal trainer. 2 - 1 hour sessions for $93/person Personal Training tickets are nontransferable and expire 3 months from the date of purchase. This introductory private session will acquaint you with Panorama’s or Greenglade’s Weight Room. You will learn proper use of the weight room equipment and get set up on a general program. Please bring a water bottle and towel. Please submit your semi private training request with your training partner. Visit www.panoramarecreation.ca for Personal Training Client Packages and Personal Trainer bios. Please note that all personal training tickets are non-transferable and expire 6 months after the first session. BENEFITS OF TRX TRX SUSPENSION TRAINING TRX Stands for Total Body Resistance Exercise that utilizes gravity and your own body weight to increase strength, endurance, balance, core and joint stability. This incredible tool can be easily adjusted to match any fitness level and perform numerous exercises in no time. The TRX is a fun way to reach your fitness goals to increase strength, performance and athletic conditioning safe for all levels! Jazzercise is the original dance party workout. Blending dance with Pilates, yoga, kickboxing and strength training, one 55 minute session can burn up to 800 calories. The results? Long, lean muscles and an undeniable mood boost. Routines are choreographed to hit songs that change all year long. When it comes to body sculpting, Zumba Toning raises the bar. It combines targeted body-sculpting exercises and high-energy cardio work with Latin-infused Zumba moves to create a calorie-torching, strength training dance fitness party. Students learn how to use lightweight maraca-like toning sticks to enhance rhythm and tone their bodies while having a blast! This program is designed for parents and/or caregivers and their babies (in a jogging style stroller) and will help you get back into fitness. Each session incorporates a slow jog, strength, and flexibility training. Get out there and meet other parents in your community! We meet rain or shine but have an inside back-up if needed! Women must be at least 6 weeks postpartum. The Qigong for cancer therapy is a walking Qigong exercise that combines physical and mental activities, employing movements, meditation and regulates breathing. Cancer patients can summon up their Internal Vital Energy and create a balance between the positive and negative elements in their body. This energy clears their internal organs of obstructions and promotes circulation of both blood and Chi, and thereby aiding their recovery. Chakras are the 7 energy centers in your body that affect you physically, emotionally, and spiritually. When these energy centres are not aligned or balanced, this may cause a general feeling of being unwell, low energy and of not being at your best. This unique class uses yoga poses, visualization and breathing techniques to help you bring balance to each of the Chakra locations in your body. In each of these 7 classes, we will explore 1Chakra at a time that specifically targets an energy centre; then bringing all of the Chakras together. This slow pace and gentle yoga practice brings movement into the joints to ease stiffness and increase range of motion. Chairs are available. This series of classes, in a small class setting, is suitable for everyone. No yoga experience is necessary. “I love being able to teach drop-in yoga classes to people who wouldn’t normally try it. Experiencing the diverse range of people exploring the many benefits of yoga. Strengthen and stabilize muscles that are prone to injury while stretching those areas of the body that are typically tight. Postures in this class will also focus on balance, coordination and core stability. Improve your flexibility while becoming better physically and mentally prepared for all levels and types of athletics. Suitable for athletes of all levels or anyone looking to improve their health and fitness through yoga. This class is a safe and gentle, common sense approach to eliminating chronic muscle pain. An innovative blend of Hatha Yoga (Sivananda), Hanna Somatic Education (R), Pranayama (breathing) and meditation. Explore new ways of movement that will unlock old patterns of holding stress and pain in your body caused by Sensory Motor Annesia. These movements will retrain the nervous system to release involuntary muscular contraction and restore natural movement to alleviate common painful conditions. The proven results will transform your life. DOWNDAWG YOGA 14 yrs+ downDAWG Yoga is a ground breaking fusion of classic yoga practice and high energy, hip hop music. This class offers the chance to get into your favorite yoga flow sequences and get your heart rate pumping while rocking to electric beats all class long. No experience necessary, the music melds in with the moves, and the moves are in tune with your breath, for the ultimate, fun and funky workout. THERAPEUTIC YIN YOGA 18 yrs+ Everyone is welcome to this slow-paced, gentle and mindful yoga practice. This holistic yoga practice helps you to release tension in the connective tissues by holding poses for about 3 minutes to reduce stress, increase body awareness and increase flexibility. This class is suitable for beginners and those with minimal Pilates experience. We will focus on engaging and strengthening the core muscles to improve fitness and prevent injuries. This class will work on your awareness of posture and movement to gain flow and grace in everyday movements. This program offers group exercise designed for people with arthritis, osteoporosis, joint replacement and other chronic conditions who want to get moving and feel better. Youâ&#x20AC;&#x2122;ll love the supportive group atmosphere of this program. Must be able to get in and out of chair without assistance. This class is intended for seniors who are looking to reduce their risk of falls and enhance their independence by improving their balance, strength and endurance. Participants will use a variety of equipment for seated and standing exercises. Developed by BC Women’s Hospital, this is a fall-prevention program consisting of strength, balance and stretching exercises that are safe for those with osteoporosis. You will also improve your posture by strengthening and stretching specific muscle groups, which can reduce pain and other consequences of poor body alignment. Tall Tree Health is here to lift you up. We’re dedicated to support your health and fitness goals with clinical excellence, caring and fun. If you’re looking to get fit but are concerned about a health issue or an injury, our rehab team is a perfect choice to overcome any obstacles. Our goal is to help you reach yours. ADULT TAKE HEART & BREATHE WELL A community-based cardiac exercise program. It is a partnership with Island Health Authority, and will provide cardiac rehabilitation services for those individuals with heart conditions who would like to safely strengthen their cardiovascular system. Sessions will begin once the program deliverer has received the appropriate paper work from your cardiologist. Please call 250.655.2184 for further information. 40 yrs+ This twice weekly supervised exercise program is designed for ‘Take Heart’ graduates. Monthly registration includes 5 complimentary visits to access Panorama’s drop in activities. Please speak with our program deliverer prior to registration. For players looking to improve their control of the ball, rally skills, hitting direction and height. An emphasis will also focus on serving, net play and doubles strategy in order to be able to play games. basketball, volleyball, and indoor and outdoor tennis! Fees vary dependent on activity and time of day. See p. 8 for rental details. Players will focus on doubles play and strategy, while fine tuning their ground strokes, net play and serving skills. 16 yrs+. Recreational-level. Recommended to bring your own paddle but, some available to borrow. Basic balls provided. Participants responsible for setup/take-down of nets and equipment. See p. 46 for times and exclusion dates. on the drop-in schedules section of our website. Please contact our Racquet Sport Coordinator, Eric Knoester, at 250.655.2177 to book your lesson. limited to ensure adequate play time for all. For the children of many families in the Capital Regional District, participating in organized sports continues to be out of reach. For more information about eligibility criteria, and to apply for KidSport support, please visit our website. Thanks to our donors and supporters, nearly 12,000 local kids have been helped off the sidelines and onto the playing field by KidSport Greater Victoria. If you’re in a position to give, through funds or time, please contact us. People with disabilities are welcome to participate in all leisure services offered by your municipality. For individualized assistance in choosing programs and overcoming barriers to participation call RIV at 250-477-6314 today. Providing safe and supportive counselling in my private home based office or in the comfort of your own home. Over 25 years experience. Counselling is available in person, by telephone or through e-counselling. Visit my website for details. Remember the mosquitoes, the dirt, and the marshmallows? h ll They h willll too. The newly formed Kiwanis Club of Sidney & Saanich Peninsula is making a name for itself in our community! We have just completed our first foray at running the Kiwanis Café at the Panorama Rec Centre and because of our success there, have been asked to continue at Rotary Park for the baseball season. We are thrilled at this opportunity and are excited to be so involved in the community. Kiwanis’ motto is “Serving the Children of the World” and of the more than 7000 clubs we make a powerful force for serving children and changing lives. Every penny we make in our projects is going towards a new playground at Greenglade Community Centre and to assist in the building of seating at the newly completed Skate Park at Tulista Park. If you are ready to help children and families in our community, come visit us and find out what we are all about. Contact Ken at 250.888.0567 for more information. 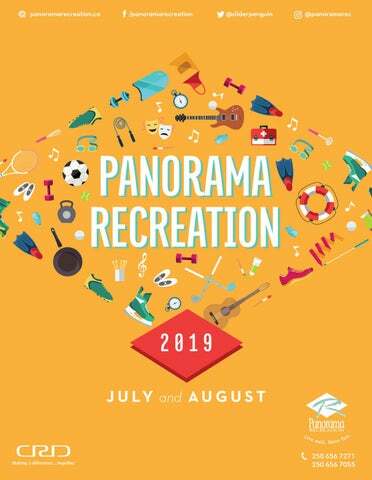 REGISTRATION & PROGRAM INFORMATION COMMITMENT TO SATISFACTION Panorama Recreation is totally committed to satisfying you with our classes, programs, events and facilities. If you are not completely satisfied with our service delivery, please tell us and we will do the following: 1. Attempt to rectify any concerns you may have. 2. Transfer your registration to another program or session. 3. If the above steps do not meet your satisfaction, we will review the circumstances and consider issuing a partial/full refund subject to our administrative fee. COURSE CANCELLATION If a minimum number of registrants is not met, we may have to cancel or combine classes. These decisions are made a few days in advance of the start date, so please register early to avoid disappointment. In the event of unforeseen circumstances that result in the closure of a facility or program cancellation, refunds will be given on a proportionate ratio for fees or charges paid. INFANT AND TODDLER POOL PROGRAMS In an endeavour to provide uncontaminated bodies of water, Panorama Recreation sells infant and toddler “pool pants” and swim diapers which when properly sized, do not leak or weigh the child down. All infants and toddlers under the age of 3 are highly recommended to wear “pool pants” or swim diapers. PROGRAM FEEDBACK On the last day of classes or following course completion, you may be asked to complete a program feedback form in-person or online. Your feedback is appreciated; helping us provide quality programs and informing our programming decisions. PHOTOGRAPHS AND PROGRAM IDEAS WELCOME Your photographs and program ideas could be used in future issues of the program brochure! Photos and program ideas can be sent to info@panoramarec.bc.ca. COURSE CAPACITIES Waitlists are reviewed on a continuous basis and efforts made to accommodate everyone where possible. Waitlisted registrants will receive notification when spaces becomes available. PRIVATE LESSON REFUNDS A notice period of 72 hours is required to cancel private lessons in order to receive a refund or credit unless accompanied by a medical note. Please call the appropriate coordinator. HOLIDAYS/LONG WEEKENDS The majority of programs are not scheduled to run on statutory holidays. This will be noted on your program registration receipt. Freedom of Information If you are registering for a program, purchasing an active pass, or renting a facility, we will ask for certain personal information. This is required to ensure proper record keeping, to properly register you in the program of your choice, to ensure the security and proper use of your pass, and for invoicing and other correspondence as needed. The information is for the sole use of the Peninsula Recreation Commission and its staff, and is collected under the authority of the Freedom of Information and Protection of Privacy Act, Section 26(c). Despite the best efforts of our Active Living Guide team, an error may slip through. We apologize for any inconvenience. In the event of a printing error, the information or fee provided by our customer service representatives will be deemed accurate. REFUND POLICY Seventy-two hours notice is required before the first class (or series of classes) in order to receive a full refund. Refund requests after this time must be approved by a Program Coordinator unless otherwise stated. A $5 administration fee will be charged on all requests for Refunds for each program. Convenient The flexibility to register and pay at your convenience, anytime, from anywhere. Three simple steps, and you’ll be enrolled in the program of your choice. In less than five minutes, you can setup your account and enroll for your program. You don't have to burn gas to drive over and register in person, and it saves paper. This 24 hour secure site allows you to register for programs immediately. Login or create an account online. Forgot your password? You can retrieve it online too! Beginning Friday, April 5 @ 6am Complete the registration form provided including your credit card information and scan and email registration. Registrations are processed in the order received. Beginning Friday, April 5 Complete the registration form provided including your credit card information, drop off either at Panorama Recreation Centre or Greenglade Community Centre. Registrations are processed in order received. SEE PAGE 81 FOR MORE PROGRAM & REGISTRATION INFORMATION. Beginning Monday, April 8 Phone-in will be accepted using either your credit card. When phoning, please have the following information: - Course name and number. - Registrant’s name, age, address, telephone number and e-mail address. Parent’s name is also required to register a child. - Your credit card number, expiry date, name of card holder, CVC and address. Personal information contained on this form is collected under the authority of the Local Government Act and is subject to the Freedom of Information and Protection of Privacy Act. The personal information will be used for purposes associated with the program. Enquiries about the collection or use of information in this form can be directed to the Freedom of Information and Protection of Privacy contact: Manager, Information Services at 250-360-3000. Reading–it’s active living for your imagination. Check out all the activities, programs and camps we have to offer this summer.